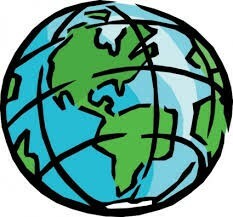 For the next few weeks we will be continuing our look at our changing Earth. We will review weathering, erosion and deposition. We will look at the difference between weather and climate. Then, we will review the water cycle, how the moon changes phases, and the shadows that the sun provides on a daily basis. That will get us to January. This month in Reading we will be working on analyzing nonfiction text. We will determine the main idea, identify the text structure used, and study nonfiction text features. We will also be integrating Writing and Social Studies this month with a fun project. 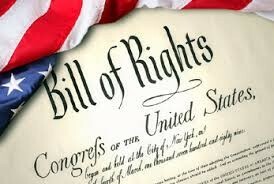 Students will be learning about the Constitution and The Bill of Rights and creating a magazine that describes these important documents in our country's history. 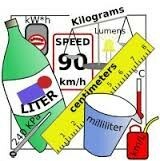 In math, we will be learning about adding fractions and converting metric measurements. Remember to keep practicing on Stride Academy at home! Reindeer Romp: Help support the NISD Elementary PE Department by running the 5K or 1K fun run on Saturday, December 5, 2015! The 1 mile begins at 8:30 am, followed by the 5k at 9:00 am. Runners, make sure you look for the Seven Hills tent when you arrive! All grade levels will be performing and dance teams! The 3rd, 4th, and 5th grade Spelling Bee will be on December 16th at 8:30 a.m. in the gym! The 5th grade Holiday party will be on December 18th from 9-10. Students will be receiving more information about the party next week. Parents are welcome to join us! Scholastic Book Orders are the perfect way to ensure that your child has plenty of reading material for the upcoming break! Stride is a valuable resource that reinforces what is being taught in your child's science, math, and reading classroom. Please encourage your child to use it at home. If your child needs another copy of their login, please let their homeroom teacher know! Shout out to Mrs. Hladky's & Mr. Twa's homerooms for winning the weekly Stride award for the most participation! Keep up the hard work! 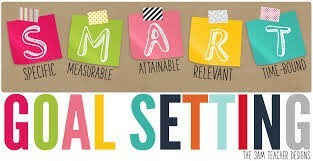 Seeing as that one of the themes of our school this year is to have a growth mindset, we will be implementing goal setting in each of our classrooms this year. Each student will be responsible for setting goals in specific academic areas throughout the year with the help of their teachers. Our hope is that each student will use the goals they have set to motivate themselves to reach their potential! Parents play an important role in our success. Please ask your child about their goals and encourage them to work hard in order to reach them! We want to celebrate their successes, and we know that it would be even more powerful if their successes are celebrated both at home and at school! 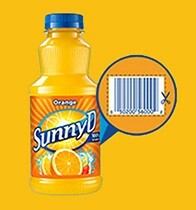 Give SunnyD® labels to your child's teacher and get free books for the classroom. SunnyD® is proud to support children, teachers and parents across the country with the SunnyD® Book Spree program In exchange for 20 SunnyD® labels, Book Spree delivers $120 worth of books to your child’s classroom. Since its inception, the Book Spree program has donated over $8 million in books. It’s the perfect way to bring more books into the classroom and open more young minds to the fun and joy of reading. This year the 5th Graders at Seven Hills will be participating in the Six Flags Reading Program. 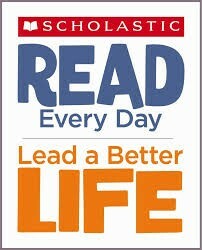 Each child that reads for a total of 6 hours will receive a free Six Flags ticket! Please be on the lookout for more information on how this program works! This is a great way to get your books for Million Word Challenge and a free ticket to Six Flags at the same time!